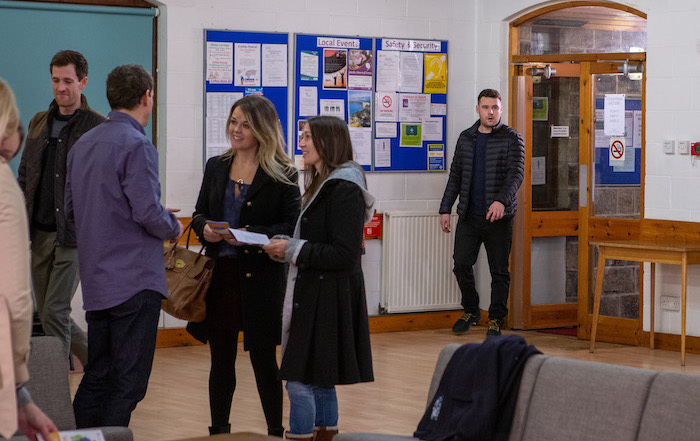 Mon 4 Mar 2019: Aaron Dingle arrives at the surrogacy meeting. 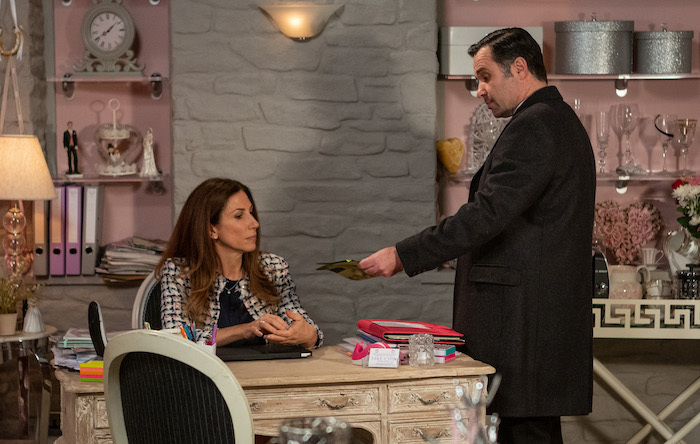 Mon 4 Mar 2019: Robert fails to show due to meeting a new client. 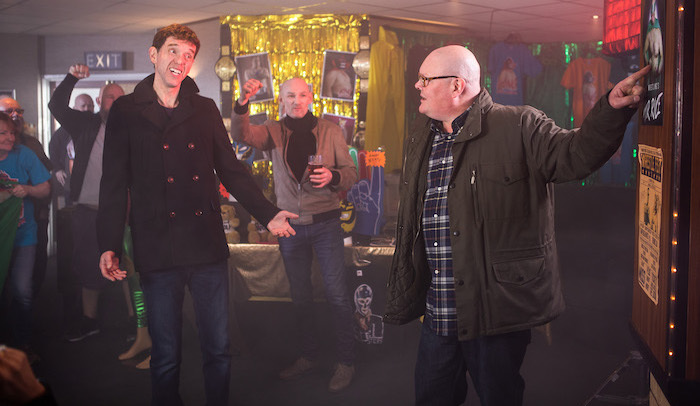 Mon 4 Mar 2019: Excited David Metcalfe prepares for his night away. 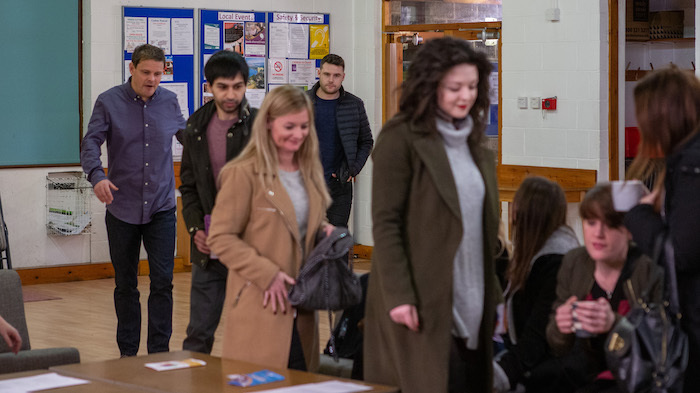 Mon 4 Mar 2019: Jacob Gallagher can barely contain his jealousy. 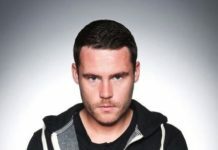 Mon 4 Mar 2019: Jacob Gallagher is struck by an idea to sabotage the night. 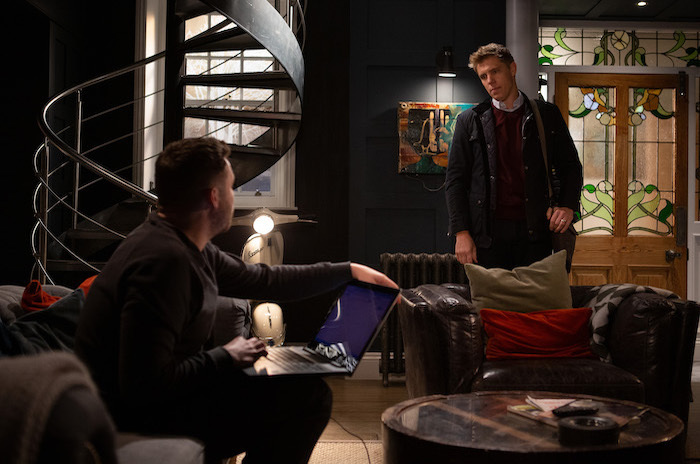 Mon 4 Mar 2019: What plan does scheming Jacob Gallagher have up his sleeve? 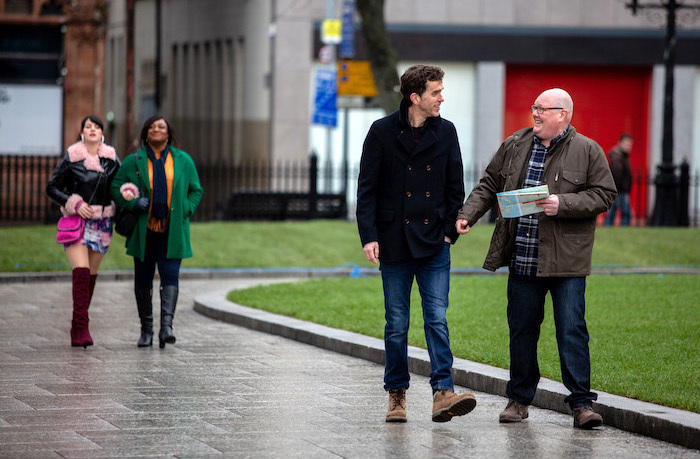 Tues 5 Mar 2019: As Robert heads for another meeting, Aaron Dingle lies about a text then meets Lucie, a surrogate and warms to her instantly. 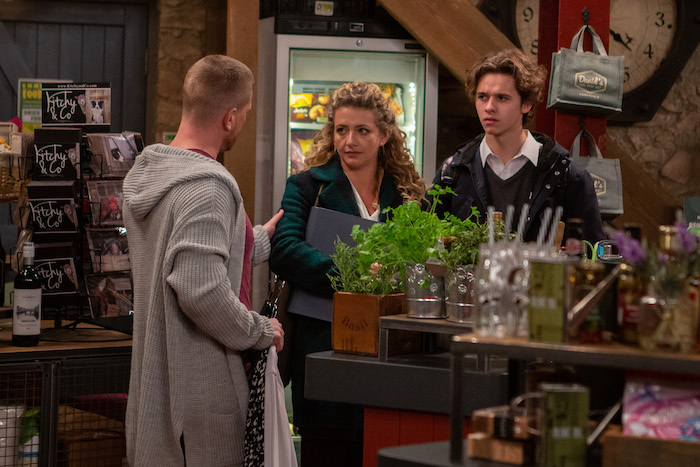 Tues 5 Mar 2019: When Aaron hears Lucie’s considering couples for her next surrogacy, he is determined to secure her for himself and Robert. 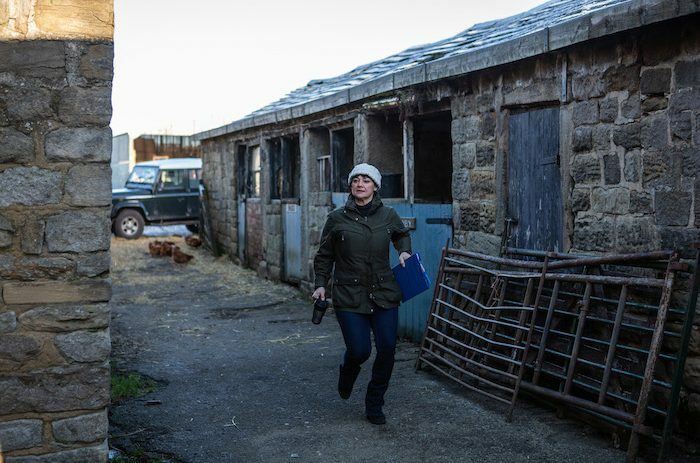 Tues 5 Mar 2019: Leyla Harding’s delighted to be back working for Take A Vow. 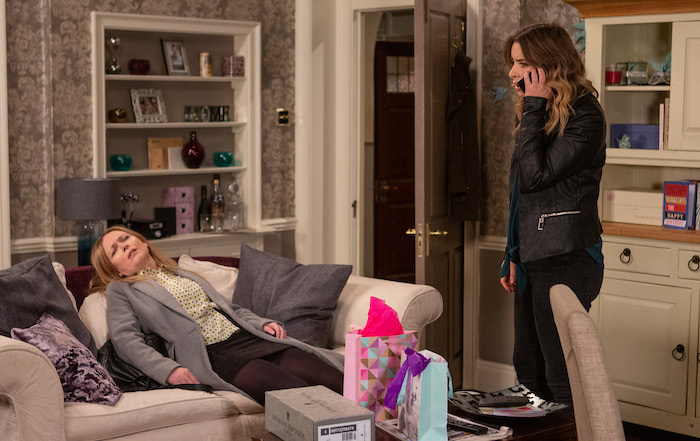 Tues 5 Mar 2019: Graham Foster’s crushed when Megan Macey throws his peace offering back in his face. 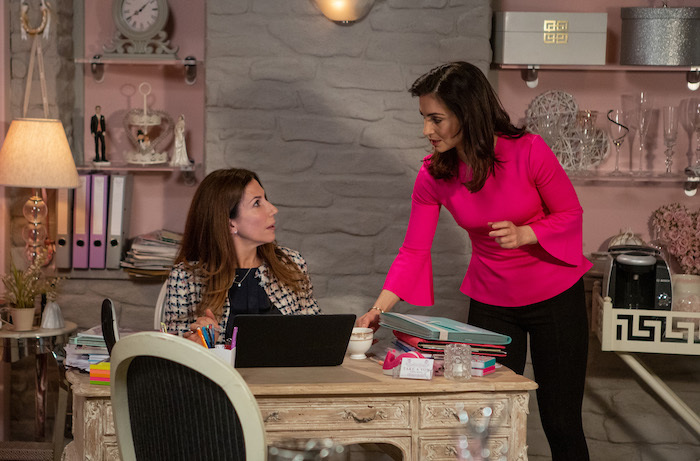 Tues 5 Mar 2019: Leyla points out Graham’s offer of a romantic weekend was a big gesture and Megan’s left thoughtful. 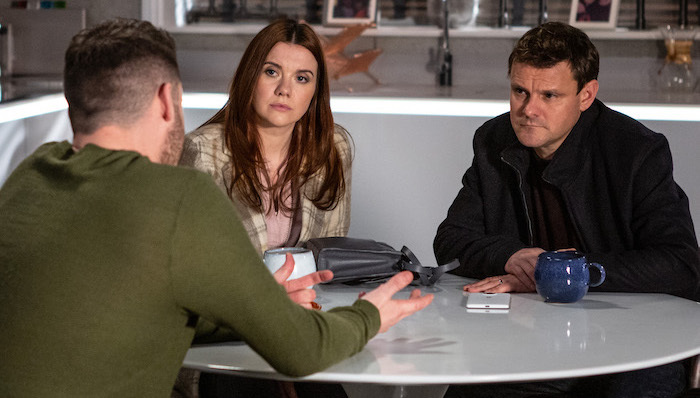 Tues 5 Mar 2019: Will Megan and Graham get back on track? 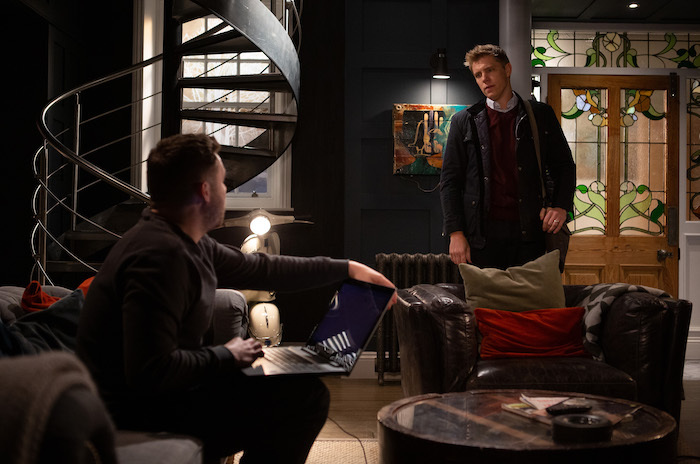 Wed 10 Mar 2019: A thoughtful Aaron Dingle eyes Robert Sugden’s cash deposit. 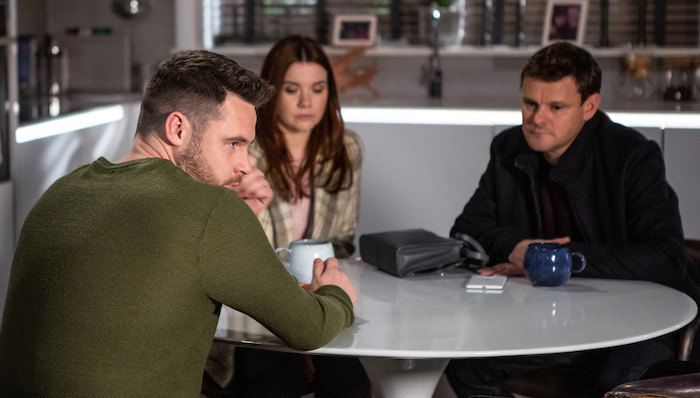 Wed 10 Mar 2019: Could Aaron be about to make a hasty mistake? 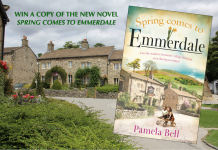 Wed 10 Mar 2019: Kerry Wyatt is suddenly hopeful to receive a text from Jessie Dingle. 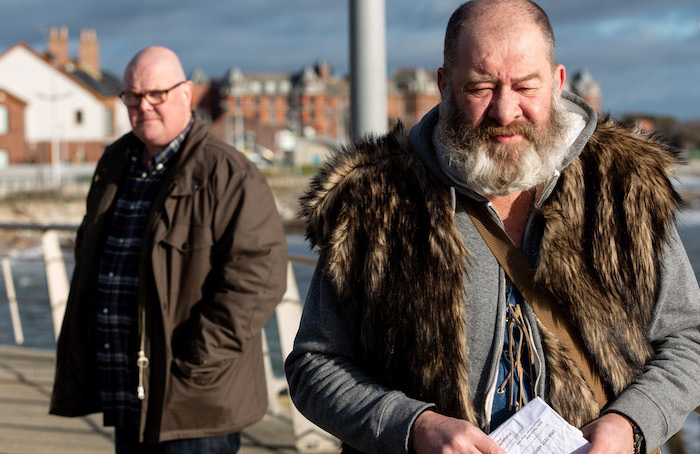 Thurs 7 Mar 2019 – 7pm: Kerry Wyatt, Jesse Dingle, Marlon Dingle and Paddy Kirk arrive in Belfast. 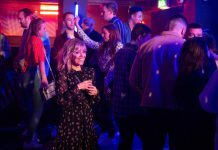 Thurs 7 Mar 2019 – 7pm: Billy Fletcher and Ellis Chapman once again are at loggerheads. 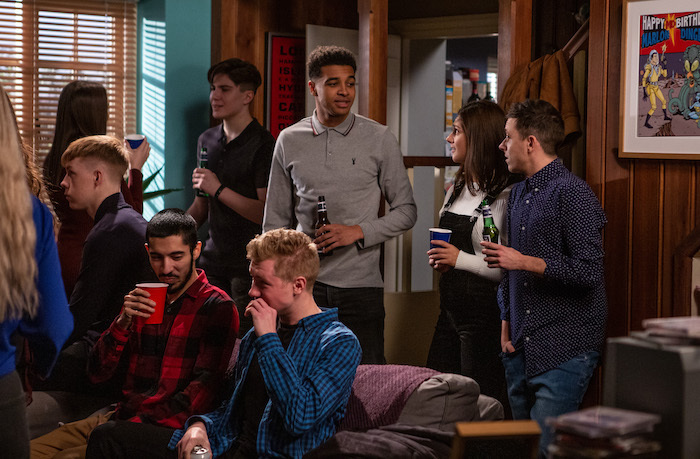 Thurs 7 Mar 2019 – 7pm: Billy Fletcher and Ellis Chapman once again are at loggerheads but this time over Tracy when one of them kisses her. 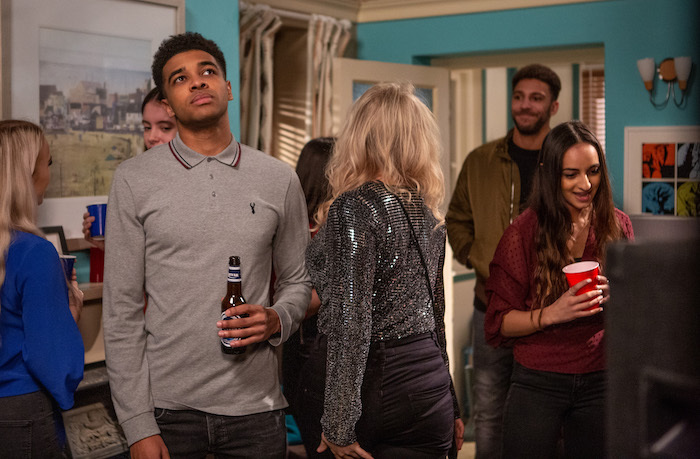 Thurs 7 Mar 2019 – 7pm: Who has Tracy got her eye on – Billy Fletcher or Ellis Chapman? 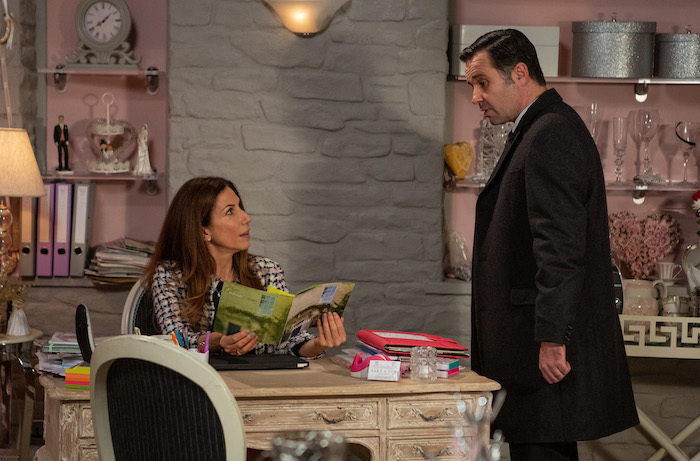 Thurs 7 Mar 2019 – 7pm: This time the brothers argue over Tracy when one of them kisses her. 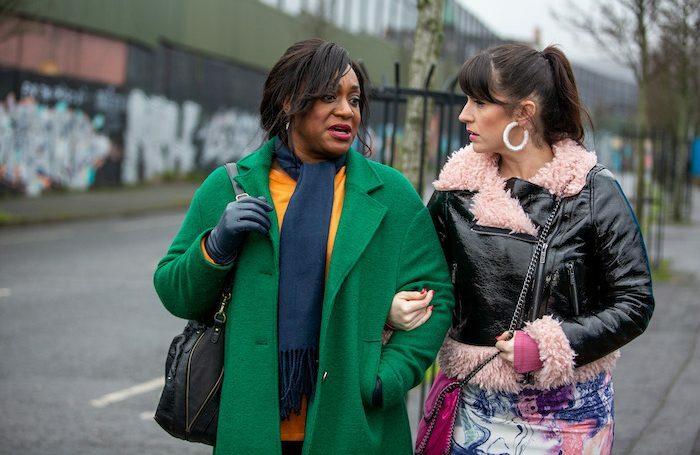 Thurs 7 Mar 2019 – 7pm: Kerry Wyatt reveals she’s come to find her daughter Amy. 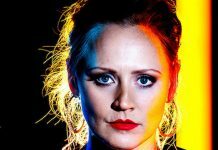 Thurs 7 Mar 2019 – 7pm: Jessie Dingle and Kerry Wyatt have a heart to heart as Kerry opens up about Amy. 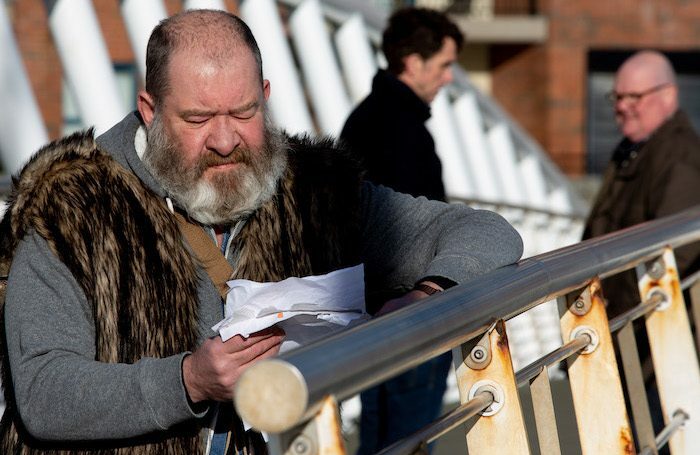 Thurs 7 Mar 2019 – 7pm: Bear Wolf’s stunned to see evidence that Paddy Kirk is his son. 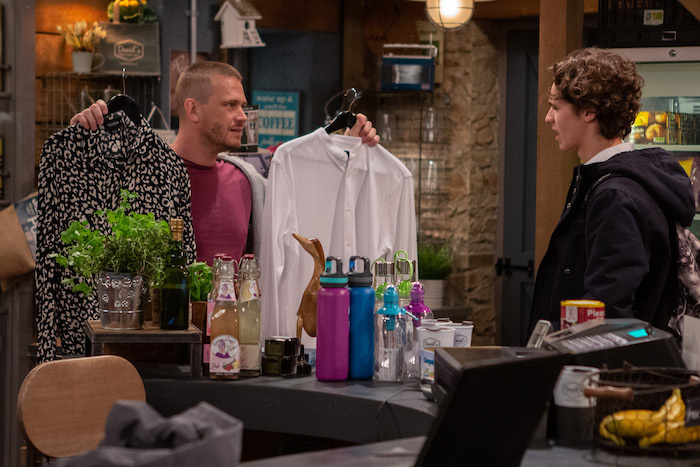 Thursday 7th March 2019 – 7pm: How will Bear Wolf take the news that he has a son? 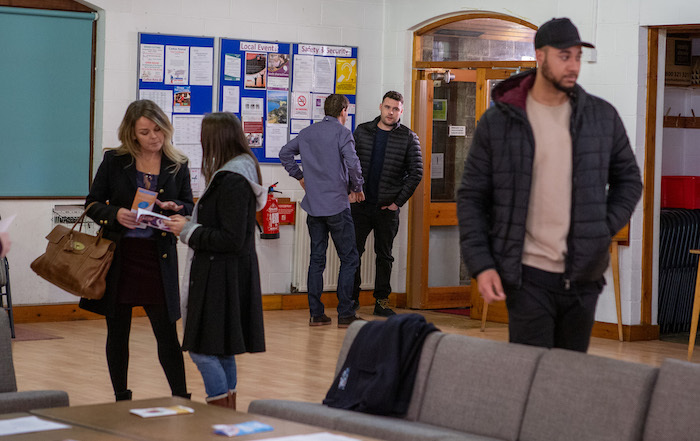 Thursday 7th March 2019 – 7pm: What does this mean now for Paddy Kirk and Bear Wolf? 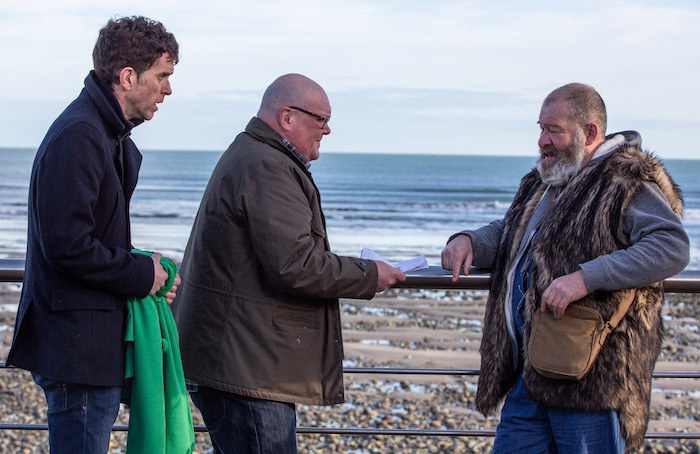 Thurs 7 Mar 2019 – 7pm: Marlon Dingle and Paddy Kirk search for Bear in a busy pub. 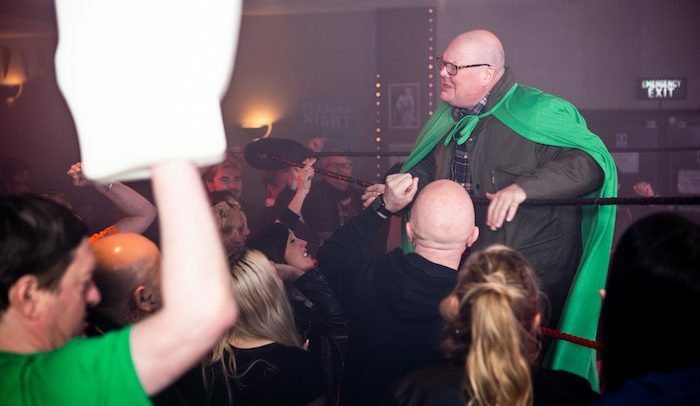 Thurs 7 Mar 2019 – 7pm: Things take a turn for the worse when the crowd mistake Paddy for a wrestler. 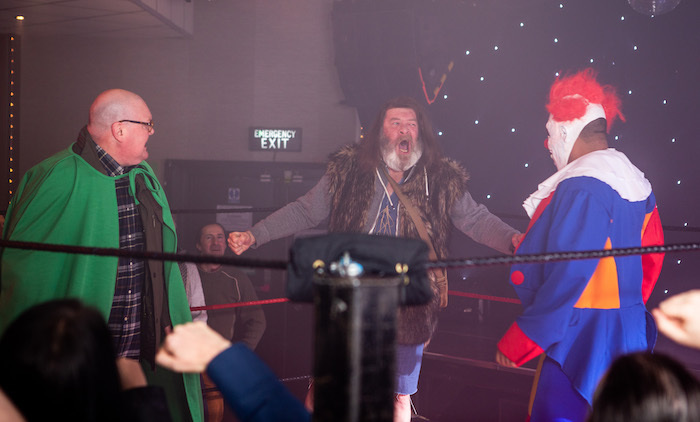 Thurs 7 Mar 2019 – 7pm: The crowd drag a reluctant Paddy to the ring. 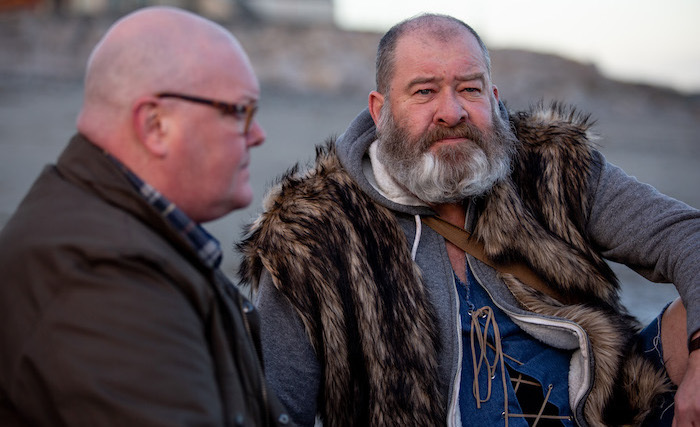 Thurs 7 Mar 2019 – 7pm: A stunned and protesting Paddy faces his terrifying opponent. 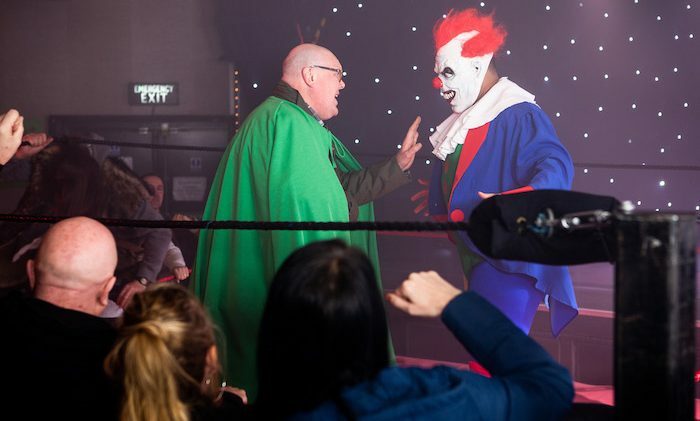 Thurs 7 Mar 2019 – 7pm: Is Paddy Kirk about to be annihilated by an Irish wrestling clown? 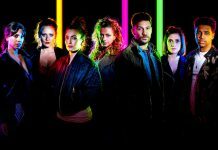 Thurs 7 Mar 2019 – 7pm: Is it a bird? Is it a plane? 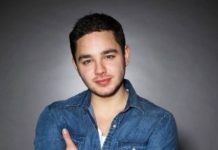 No its Bear Wolf coming to save the day! 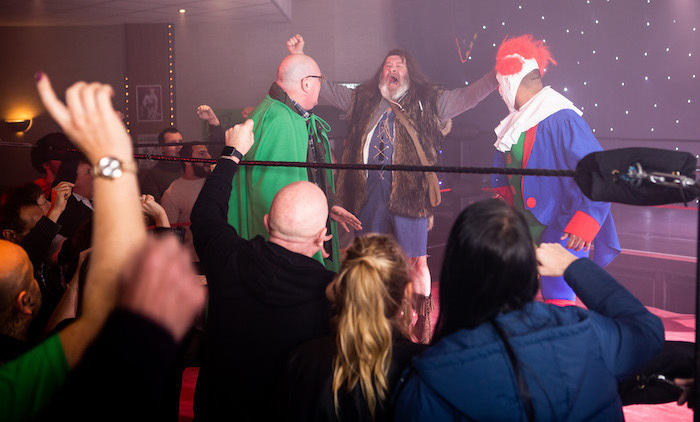 Thurs 7 Mar 2019 – 7pm: Paddy Kirk runs from the ring, with Marlon and Bear close behind. 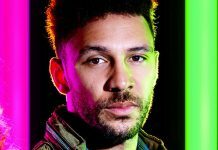 Thurs 7 Mar 2019 – 8pm: Stunned by Paddy Kirk’s revelation, Bear Wolf admits how much Paddy’s mother meant to him. 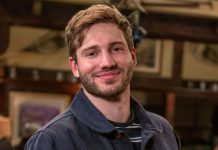 Thurs 7 Mar 2019 – 8pm: Reflecting on the past, Bear’s hurt to think that Paddy’s mum lied to him because she thought Paddy would be better off without him. 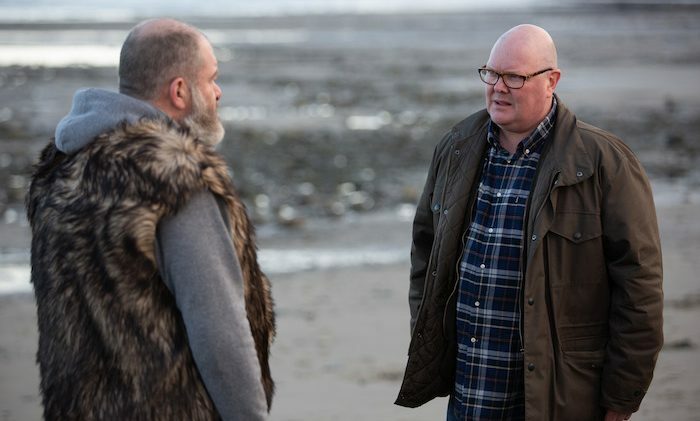 Thurs 7 Mar 2019 – 8pm: When Paddy tells him about Grace, Bear’s shock and sadness is genuine and as Bear prepares to leave, they wonder where they go from here. 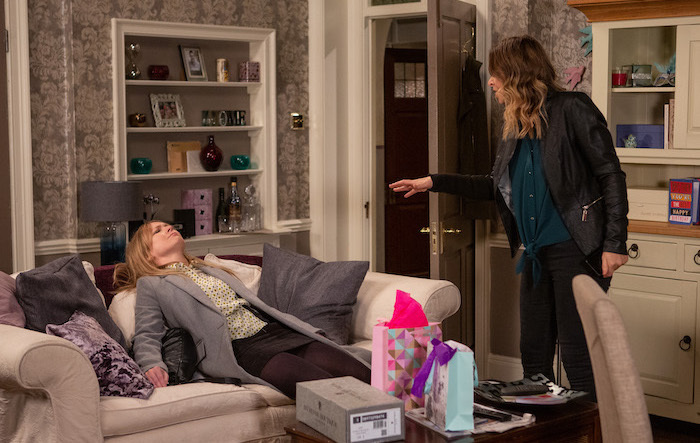 Thurs 8th Mar 2019 – 8pm: Charity Dingle rants at a drunk Vanessa Woodfield. 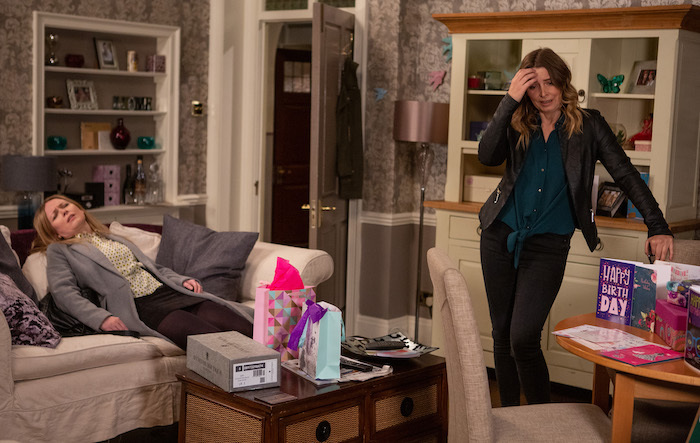 Thurs 8th Mar 2019 – 8pm: Charity Dingle is in mid-rant when she’s interrupted by a call on her mobile. 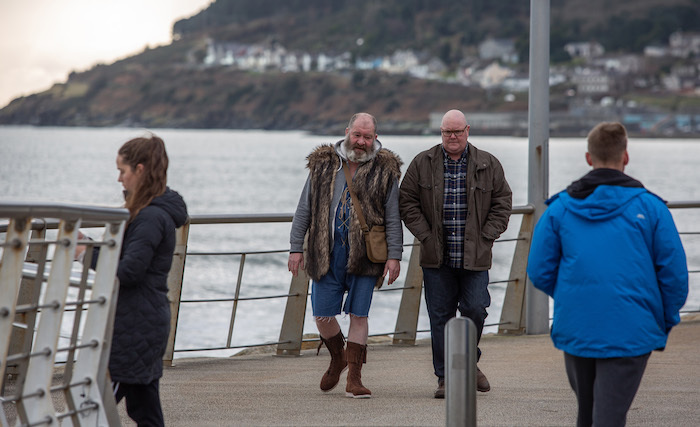 Thurs 8th Mar 2019 – 8pm: The call knocks Charity Dingle knocks her for six. Who was on the other end of the line? 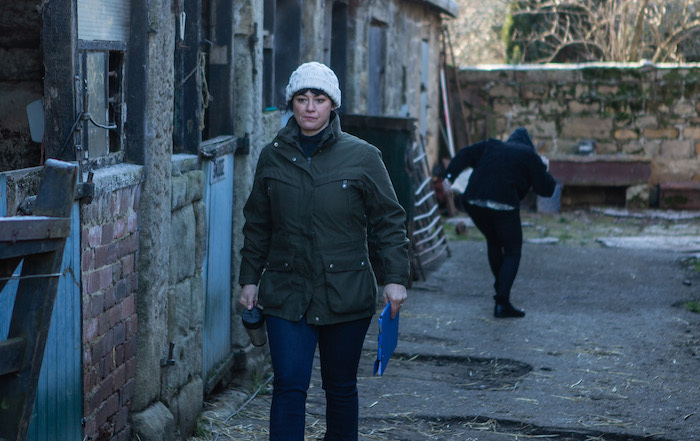 Fri 8 Mar 2019: Returning to the farm, Moira senses she’s being watched, then tells herself it’s nothing. Unseen, a hooded figure hides nearby. 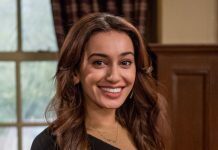 Fri 8 Mar 2019: Later, catching a hooded figure in her yard, Moira calls their bluff with threats of a shotgun. 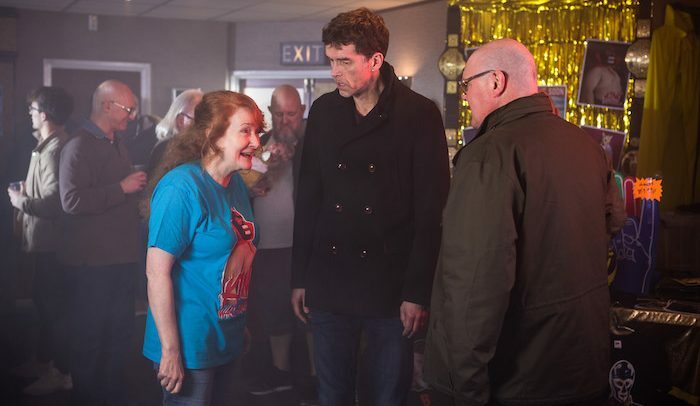 Fri 8 Mar 2019: Chas tends to Grace’s grave, she feels hope returning to her. 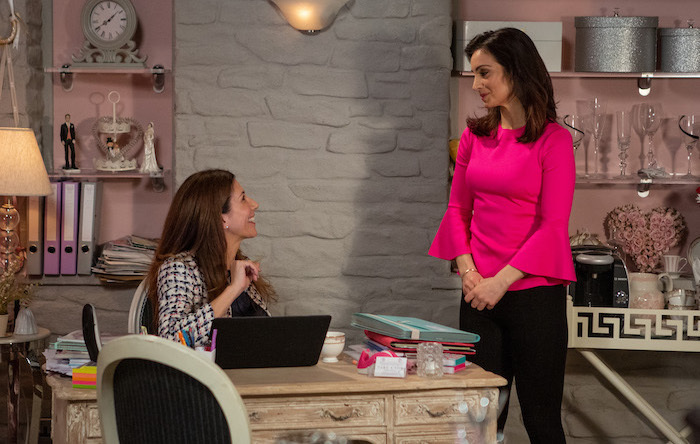 Fri 8 Mar 2019: Chas glows with happiness as she reveals to Laurel that she’s pregnant. 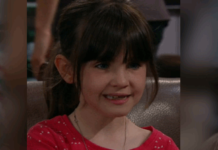 A happy Chas is determined to embrace her pregnancy without fear.